Now this one I had to complete real quick! 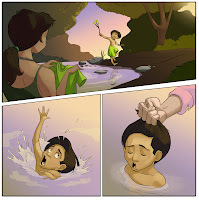 I was asked to illustrate the history of a little indian boy, that fell in the river and was saved by being pulled by his hair, after that he never cut his hair anymore since then. 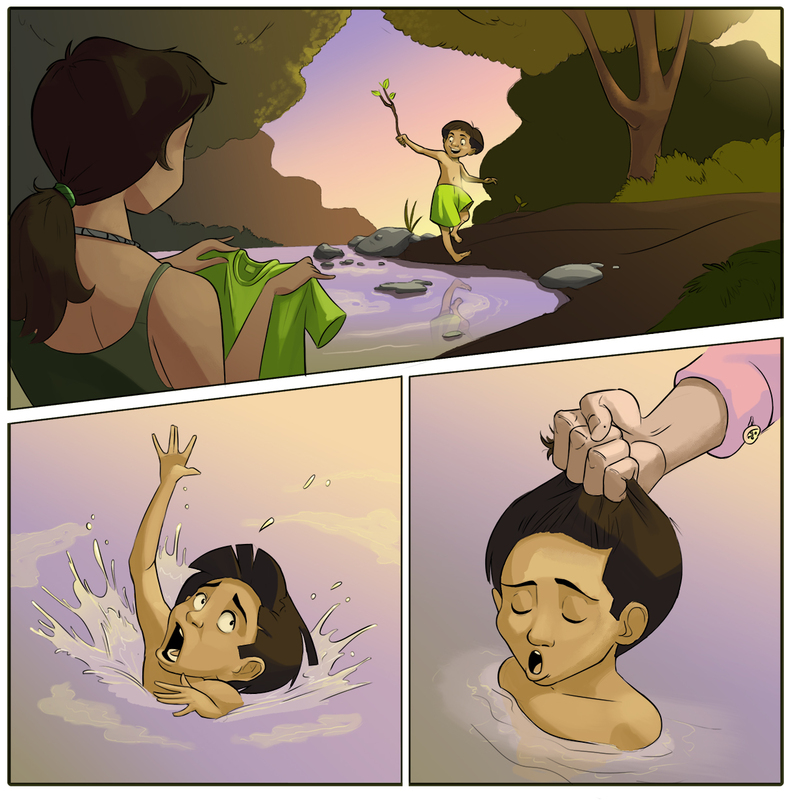 I would have to make it in a comicbook style to be animated later. 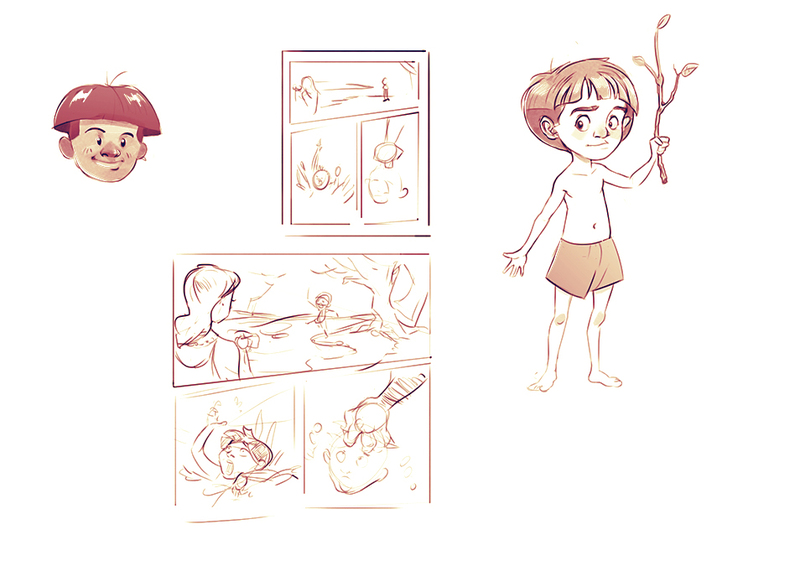 So I did a real quick character study and thumbnails. Then moved on to the final piece.